While research and medical understanding has grown, there’s still much to learn about cannabis and its medical applications. Aurora Cannabis shares its story. While most teenagers perfect the art of lying in, Director of Advocacy and Corporate Social Responsibility at Aurora Cannabis, Jonathan Zaid struggled just to fall asleep. From the age of 14, insomnia and piercing headaches disrupted Zaid’s life. While other Canadian kids were playing hockey and going to class, he was cloistered by pain. A diagnosis – new daily persistent headache – did little to quell his symptoms. A mix of pharmaceuticals only served to foggy his existence, and eventually proved so disruptive they prevented him from attending school. “When I first got sick, I was essentially homebound,” said Zaid. Five years after doctors served him with a diagnosis and handfuls of pills, at the age of 19, Zaid finally found relief – but not from traditional prescriptions. It was a plant that finally allowed him to manage his symptoms and reclaim his life. Medical cannabis did what other painkillers could not: manage Zaid’s pain. He was finally able to re-join his peers in the classroom. But at the University of Waterloo, he ran into a different barrier: obtaining insurance coverage for his medical cannabis. He lobbied the student union and eventually won coverage for himself and other students with specific needs, but the experience also opened his eyes to a broader problem. While he’d won the battle on one campus, cannabis patients across Canada were fighting similar wars with insurers, employers and their own government. Zaid recognised a need for more information — patients, doctors, policymakers and politicians alike all needed to know more, and easier access was essential. So he founded Canadians For Fair Access to Medical Marijuana (CFAMM), which blazed the trail for cannabis access in a country that’s now leading the way. Today, the group boasts 20,000 members and it continues to lobby Canadian governments to ensure cannabis is treated the same way as any other medicine. Across Canada, there are now more than 340,000 medical cannabis patients. Yet, issues related to access, taxation and insurance coverage remain, even in the largest country in the world to legalise recreational cannabis. But Zaid doesn’t want to stop with Canada. He knows well the value of cannabis as a medicine and believes international access is not just the right thing to do, but the best way to increase the research and medical understanding of cannabis. It’s time to take the movement to Europe and around the globe. “Medical cannabis access is a fundamental human rights issues,” Zaid said in a recent interview from Canada, where he now works in the legal cannabis industry. He joined Aurora Cannabis as its director of advocacy and corporate social responsibility in the middle of last year because he truly believes the company “gets it”. What enticed him was not the pay cheque, but the fact that everyone from CEO Terry Booth on down shares his belief that cannabis holds the potential to revolutionise medicine. The company’s global footprint speaks for itself. Aurora is one of Canada’s largest licensed producers of medical and recreational cannabis, and it’s a global leader in research, policy and advocacy. The company, headquartered in Edmonton, Alberta, has export agreements in 22 countries around the world and on five continents. It has research agreements in countries and universities that speckle the globe. 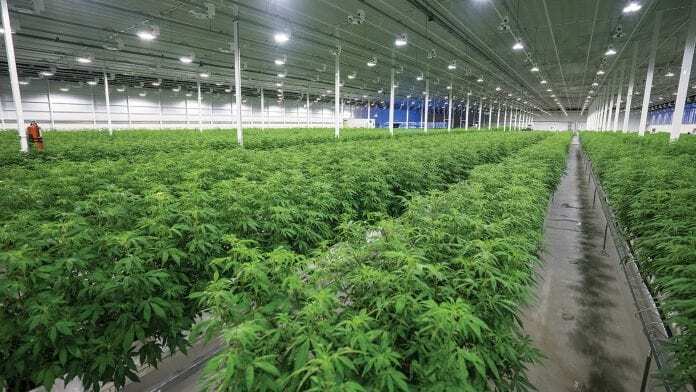 And it’s in the midst of building the largest medical cannabis production facility in Europe, in Denmark, where it has also committed millions to further study of the medical uses of cannabis. “Medical cannabis is a not an option for patients who need it, and they need to be able to depend on high-quality medicine to treat their symptoms,” said Cam Battley, Aurora’s chief corporate officer. Beyond its social good, medical cannabis is also good business; in Europe alone, the strategists at Prohibition Partners expect the medical cannabis market to top €55bn over the next decade. Aurora is well positioned to tap into the nearly 500-person market, with supply deals and facilities in countries across the continent, from Germany to Italy to Malta to Poland and, most recently, to Luxembourg, just to name a few. But Aurora’s leadership team knows it’s not just about the money. It is, as Zaid puts it, about human rights, harm reduction and access to scientifically proven medical treatments. Because stories like Zaid’s are not unique, and while research and medical understanding has grown, there’s still much to learn about cannabis and its medical applications. A century of prohibition stymied research, and it wasn’t until the 1990s that the endocannabinoid system — the part of the human nervous system that interacts with and absorbs the cannabinoids present in cannabis — was even discovered. Three decades later, patients around the world face deeply uneven access despite the growing body of peer-reviewed research and heart-warming anecdotal success stories. Europe is no exception to borders creating barriers to medical cannabis access. There may be some level of medical cannabis access in more than 20 European nations, but the differences in policies are stark. With little guidance from the European Union, and little indication its parliament wants to move quickly, Member States are creating a patchwork of policies across the continent. In many cases, patients themselves are advocating for change. Sometimes, it’s even a desperate mother willing to challenge public policymakers who provides the catalyst for change. Last year, Hannah Deacon made a very public plea and mounted an online campaign that helped propel medical cannabis legalisation in the UK. But she wasn’t seeking relief for herself; she was seeking it for her six-year-old son, Alfie. Alfie’s epilepsy is so severe that he suffered from as many as 30 seizures a day, and traditional pharmaceuticals did little to calm his shaking body. Steroids provided some relief but created a host of other complications. In one year, he was hospitalised 48 times, so his mom took him to the Netherlands, where he was treated with cannabis oil. And like so many other small children with rare but persistent seizures, it worked: his body finally fell still. But when they returned to the UK, this life-changing medicine was suddenly illegal. So his mom created an online petition and mounted a public pressure campaign as she also appealed directly to politicians. As Alfie’s story made national news, other families started sharing their struggles to treat their epileptic children, and the push for legal medical cannabis in the UK gained international traction. 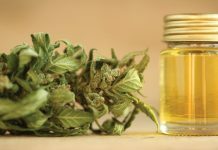 By the end of last summer, the UK’s Home Office was involved in ensuring access in another case, and the United Kingdom moved swiftly toward legalising access to medical cannabis. By November of last year, just a few short months after Alfie’s mum’s plea, it was UK law. But for many medical cannabis advocates, it’s only a baby step in the right direction. As with many other countries in Europe, the barriers to access in the UK remain high, with only specialised doctors allowed to prescribe cannabis and only after all other treatment options have failed. For Zaid, and for many others, that’s a missed opportunity, especially given the reliance among medical professionals around the world on opioids for pain management. As opioid addiction rates rise and the evidence about the harmful effects of long-term opioid use mounts, Zaid joins a growing chorus in touting the benefits of cannabis as an alternative for pain management. 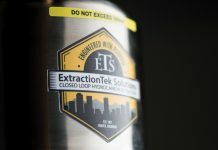 Studies in California have shown cannabis can effectively replace methadone for some recovering addicts, and many medical cannabis users come to the plant almost reluctantly after finding opioids ineffective or mind numbing. For Peter Thurley — today a board member at CFAMM, the organisation founded by Zaid — cannabis restored his quality of life after a rare form of cancer first threatened it. In 2015, Thurley was diagnosed with a large desmoid tumour, a rare form of colon cancer that only affects about one to two persons per million. Drastic surgery was required to remove it, and part of his digestive system along with it, and he remembers leaving the hospital with a “mittful of opiates”. The tumour was gone, but the pain lingered, and he soon found that opioids were a barrier to meaningful work – and relationships. Friends recommended medical cannabis. Though sceptical at first, he pushed for access, first against a sceptical medical establishment and then against a system that left him with more questions than answers. He confesses it was a black-market dispensary that taught him how to effectively and safely consume his new medicine. But it was his wife’s reaction that crystalised how much opiates were affecting him. “She says that cannabis gave her back her husband,” he said, nearly four years later and a now committed advocate for medical cannabis access. He says Canada can of course do more, ensuring cannabis is exempt from sales taxes in the way other medicines are, but he also feels that other countries can improve on its experience. Aurora Cannabis is committed to helping policymakers and elected officials get things right. 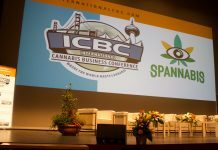 They have helped inform policymaking at home and in countries around the world, and they continue to assist governments in increasing access to medical cannabis whenever they can. “The world watched as Canada moved forward with a federally regulated system for medical cannabis, and countries in the EU and elsewhere were very interested in learning from us,” said Battley of his experience working with governments around the world on cannabis law. “Aurora has unique expertise in helping governments establish medical cannabis systems, and ultimately in providing high-quality medical-grade cannabis to patients in those countries. It’s something we know how to do very well and are very willing to talk about with healthcare professionals, government bureaucrats and politicians. What can Europe learn from Canada? As a patient, Zaid says there are a few key lessons from the Canadian experience European regulators should follow. First, Canada has respected medical professionals’ discretion. Medical cannabis can be prescribed by doctors and nurse practitioners, which increases access points for patients. But unlike many countries, Canada has not put limits on what ailments cannabis can be prescribed to address. This has prevented situations where a patient may benefit from cannabis but not fall perfectly within the diagnosis criteria to obtain it, which has prevented patients in other countries from accessing the medicine. Some countries go so far as to outline specific types of, as an example, childhood epilepsy for which cannabis can be prescribed. By taking a more liberal approach, Canada has not only helped patients but increased knowledge among prescribers. Canada has also allowed multiple forms of cannabis to be prescribed. Some countries have banned anything but pharmaceutical derivatives or prevented cannabis flower from qualifying for a prescription. 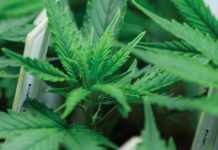 But for some patients, it’s the combined benefits of the whole flower – the blooming bud the female cannabis plant produces – that prove the most effective. For others, it’s a specific oil or a capsule of THC, CBD or some combination thereof that works best. Ensuring the appropriate form of cannabis can be consumed by a patient can be as important as allowing access in the first place. Thirdly, Health Canada – the country’s regulator of all pharmaceuticals – has taken a collaborative approach to both the recreational and pharmaceutical oversight. That has allowed licensed producers to work with the regulator to ensure access and best practices for growing, and Zaid says it has contributed to destigmatising cannabis by ensuring any new rules are developed through consultation and old ones can be revisited if found to be outmoded. He adds there are other ways that European regulators can learn from Canada’s experience and create a system that’s friendlier to patients and public health. Medical professionals should start learning about the benefits and drawbacks of cannabis as medicine as legalisation begins, not after. The public also needs to be informed and educated to combat stigma, and patients need to learn about the best ways to consume and what strains or methods work for them – so, unlike Thurley, they can avoid reaching out to illicit sources for knowledge. The information is largely there, it just needs to be gathered and communicated. Education is also about increasing the shared knowledge base, and that requires the best longitudinal research. Aurora Cannabis is a world leader in contributing to research projects in Canada, Europe and elsewhere, but often it’s private companies and not governments that are driving cannabis research forward. 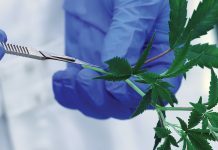 Legal barriers have held back many academics as well, but as those are lifted, governments need to join the private sector in funding and supporting medical cannabis research. The second is affordability. Canadian patients still often struggle to afford cannabis; only recently have mainstream insurers started to broadly cover it as medicine, and many government-funded drug plans for young, old or low-income Canadians still erect high barriers to coverage. Taxation of cannabis also remains an issue, as does the price point of certain forms of cannabis. Lowering those costs will come with both scale and increased coverage, but many patients are still stuck in an expensive limbo. Third is access. Getting a cannabis prescription can still be hard for some Canadians, especially those who live in remote areas and have limited access to medical professionals. But Zaid said it’s often more about accessing the right form of the drug, whether that’s because of cost barriers or production shortages. Countries like France are already working to improve upon Canada’s and other countries’ experiences. That nation is engaging in deep studies and collaborations in order to get a framework right before pressing ahead with legal medical cannabis, but there as in so many other corners of the globe, the questions is less and less ‘ci?’ mais ‘quand?’. Medical cannabis is increasingly a reality in Europe. Many countries may be tiptoeing toward change, but 2018 saw the industry leap forward in legal access and public opinion. Germany now presents medical cannabis producers like Aurora a massive opportunity, and the company has seized it. In a country of more than 82 million consumers, Aurora Cannabis already holds a majority of market share. It has partnered with local leaders to create a German-owned subsidiary and employs more than 70 people in the country. And it’s bringing innovation with it, by working to bring the country’s first cannabis oils to market later this year. But none of this progress would be possible without the Aurora Standard of high-quality cannabis. The country was among the first in the world to build facilities that meet the highest pharmaceutical standards required to sell medicines in Europe: the Good Manufacturing Procedure (GMP) certification. This standard ensures the highest quality production, in the safest way possible for medicines that are appropriate for their intended use and clinically proven. The meaning of GMP is to meet the quality standard not only by testing the final product but to minimise the risks involved in any pharmaceutical production by design of the production process itself. Aurora’s commitment to quality production, from seed through to patients receiving their medicine, earned the regulatory approval. The Aurora Standard, the company commitment to quality, didn’t stop there, and it continues to innovate. It is constantly seeking to improve its existing facilities and building bigger, better, more efficient and high-quality production sites around the world. For patients, that high quality is reassuring, and it’s often essential for those who may have lowered immune systems. While the nature of GMP is not well understood, it signals a pharmaceutical-grade quality control that’s immediately reassuring, regardless of where a patient lives. Aurora offers a unique insight to European regulators and policymakers seeking information, just as it offers patients a unique, globally accessible quality product. As more and more patients around the world find relief from an ancient plant, Aurora – like the country where it was founded – is taking a global lead. Aurora’s story, like medical cannabis, is evolving quickly and so much has yet to be written. But it’s rooted in core social values to ensure global access to life-changing medicine that is produced to the highest possible standard. It’s supporting research to improve our collective understanding of medical cannabis and constantly adapting its practices to adhere to a shifting regulatory and scientific landscape. Like the northern lights after which it is named, the company is never static. Instead, it seeks to inspire and offers constants —quality, insight, commitment to social responsibility and responsible use — that allow it to be malleable in a world of flux. For patients like Thurley, who counts Aurora among his three licensed suppliers of medical cannabis, that authenticity is appealing. He embraces the plant and fights for equal access and appreciates a company that does the same. “Aurora is among the more vocal, particularly among the major companies, in the cannabis industry in Canada,” he said in an interview from his home in Waterloo, Ontario. 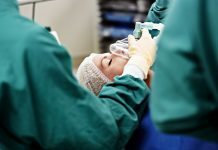 “It’s the most vocal with respect to patient rights. They’ve been willing to put their money where their mouth is.